I am a sailor whos has crused and lived aboard. I recently pass mt Tchnition clace and will take a general class test this week. I have on board a Kaito Ka1103 radio but would not recomend it except as a cheap back up. I bought and Alinco DX-SR8 transciver and amd very happy with it. In order to not to buy a tuner I bought an OPEK hvt-400B whip antenna. It has holes in the side and a jumper cable that tunes it to frequency. No tuner is needed, though it only covers frequencys 10 through 80 meter. Which for now is all I feel I need. I have not used it on the boat yet but am thinking I can mount the whip on the stern pushpit and use it and the life lines for a ground plane. The antenna was $70.00 about $30.00 worth of cables a mirror mount to attch the antenna to the push pit I have $112.00 in accessories. The transiver was $519.00. That’s great feedback, Doug. Thanks for sharing your experience with the DX-SR8. Since my last post I have found that I can send and recieve from a ham who also has a marine ssb. He patched me through which I suspct may not have been legal. Still it would have been legal to pass along a message so that I could get a message to a friend with marine band. He sent me a message that I was able to recieve on my ham radio. Where there is a will there is a way. Also my signal was a little weak sending so I found my boat already had a ground plate on her bottom with a couple of bolts coming through so I hooked a copper strap to it from the stern push pit. Now I am booming out at 100 watts. REALLY GOOD STUFF. Thanks for your endorsement of the IC-7000. I’m plotting to write an article for the new Spectrum Monitor on ham transceivers that make for great HF receivers. 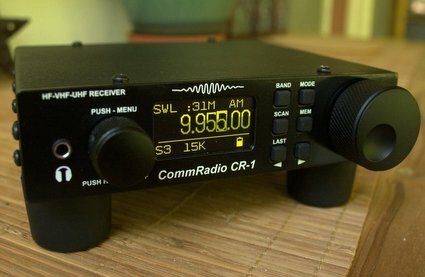 The IC-7000 will be on that list along with the Elecraft KX3 and several others. I’ll also include good used general coverage radios as well–in fact, I spent many years SWLing with my IC-735. Great thing about purchasing a transceiver is what you mention–if you get your ticket, you can use it to talk across the planet. Makes for an appropriate purchase choice. Hands down I would go with the Icom IC7200. It was designed with Icom’s marine division and is moisture/humidity resistant. It’s not a high end amateur xcvr so it’s reasonably priced. It has built in DSP filtering as well. The only problem with the radios mentioned above is they lack maritime features such as GMDSS, DSC and DGPS plus within a year or two I guarantee the inner circuits and casing will rust from constantly being exposed to the saltwater environment. Maritime radios like the Icom IC-M802 are fairly cheap – a packaged system featuring the radio, antenna tuner, and cables will run about $2000 new and will last many years when installed properly. Thanks, Bryan–I’ve noted your comment in the original post. Might I suggest that in addition to buying an amateur radio transceiver, such as the Alinco or the Kenwood models mentioned in the article that you also get your amateur radio license. With a little study, it’s not all that difficult, and you’ll be able to use that transceiver to call for help as well as to listen. You might also enjoy talking to folks while you’re out at sea.